Learn how endodontists' advanced training, specialized techniques and superior technologies make them the best choice for root canal treatment to save your natural teeth. Video produced by Dr. Kevin Kuo, endodontic resident at the Harvard School of Dental Medicine. 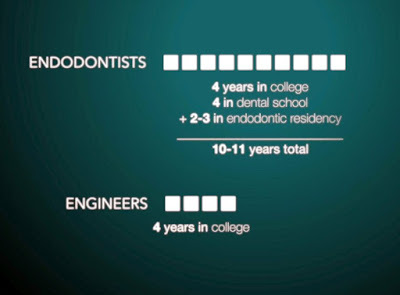 ► See also: ENDODONTICS: How many x-rays needed during root canal therapy?